Can a Magnesium Supplement Reverse Memory Loss in Alzheimer’s Patients? Magnesium is a multi-purpose mineral that is one of the best memory supplements. A proprietary form of magnesium known as magnesium L-threonate, previously found to be exceptionally good at increasing brain magnesium levels, may be the best magnesium supplement for improving brain function. As a memory loss supplement, ,agnesium is a multi-purpose mineral with important roles in the brain. Research published in The Journal of Neuroscience shows it may effectively treat memory loss and cognitive impairment associated with Alzheimer’s. Scientists from the Tsinghua University School of Medicine in Beijing, China made some remarkable discoveries while researching the effects of magnesium L-threonate on the brain. Theirs was the first study to demonstrate a mechanism for reversing cognitive decline in mice with advanced-stage Alzheimer’s disease, and is also the first to show an effective long-term treatment for mice with early stage Alzheimer’s. Does Magnesium Help with Memory? In mice with early-stage Alzheimer’s disease, the researchers showed that supplementation with magnesium-L threonate prevented cognitive impairment and that the effect lasted for at least 16 months. Even more remarkably, mice with advanced-stage Alzheimer’s disease showed significant improvements in memory and cognition. The investigators determined in earlier studies that magnesium L-threonate, a form of magnesium chelated (or bonded) to the compound L-threonate, seems to be the best magnesium supplement for increasing brain levels of this important mineral. Most other forms of magnesium commonly found in supplements do not efficiently cross the blood brain barrier and thus don’t substantially increase levels of magnesium in the brain. Even intravenous magnesium, according to the researchers, is not very effective at getting magnesium into the brain. The team’s previous research found that not only does magnesium L-threonate effectively cross the blood brain barrier and increase brain magnesium levels, supplementation with this form of magnesium enhances the connections (synapses) between brain neurons in the hippocampus, the region of the brain region where memories are processed. Profound loss of synapses is a major hallmark of Alzheimer’s disease and memory impairment. Earlier research also showed that magnesium-L-threonate reversed memory decline in aging rats without Alzheimer’s, indicating it may also be the best magnesium supplement for improving milder forms of memory loss associated with aging. 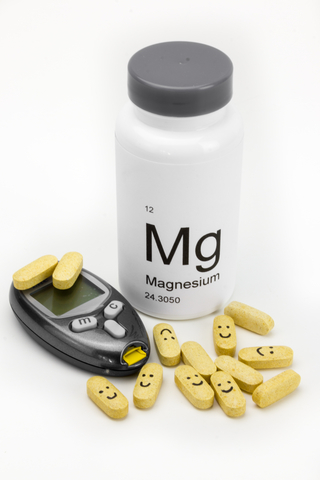 Even the best magnesium supplement, however, is no replacement for a magnesium-rich diet. In large observational studies, higher intakes of magnesium in the diet have been shown to reduce the risk for all types of dementia, including Alzheimer’s dementia. Studies also show that blood levels of magnesium are significantly lower people with Alzheimer’s disease compared to those without it. Whether magnesium L-threonate is truly the best supplements for memory loss and other brain-related issues remains to be seen. Human studies are underway but certainly, it’s a safe form of magnesium to try now. It’s manufactured by the company Magceutics under the brand name Magtein. The recommended dose is two grams per day, one gram (1000 mg) in the afternoon and another gram in the evening. Increasing brain magnesium levels is only one of many potential natural treatments for memory issues. Learn more about many other safe, well-researched, natural therapies in our Memory section articles. a memory, aging, alzheimer, alzheimer s dementia, amyloid plaques, anxiety, anxiety and depression, best magnesium supplement, best supplements, beta amyloid, blood brain barrier, brain, cognitive decline, cognitive impairment, dementia, depression, diet, enhance memory, health, low magnesium, magnesium, magnesium l threonate, memory, memory impairment, memory issues, memory loss, memory problems, mental health, natural therapies, natural treatments, natural treatments for, nuts, supplement, supplements, types of dementia, vegetables, whole grains. 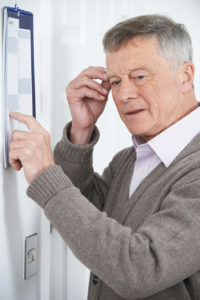 This article is helpful in addressing the concern many people have of cognitive decline as we age, especially if we have loved ones who suffer from this. Thanks for including helpful links and related articles. I had ECT’s for three years and don’t really have a memory left. I have begun taking magnesium L-Threonate, I’m very hopeful. WHERE can we buy that supplement? You can buy it online. Swanson offers it as well as other manufacturers. I thought you might be interested in this article on https://universityhealthnews.com: Can a Magnesium Supplement Reverse Memory Loss in Alzheimer’s Patients?